Mica based pigments with metallic hue and lustre. 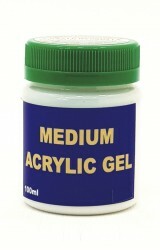 For resin, arts & crafts and industrial applications. Heat, pH, chemical resistant and non-fading. A selection of pearlescent pigments with a good degree of light fastness (non-fading) and excellent tolerance to a wide temperature and pH range. They also have good chemical resistance. Note that we have selected these pigments specifically because they have these properties so they are perfect for almost all arts and craft applications (including all resin types) as well as for industrial applications. Coated Mica Pearlescent Pigments that impart a beautiful metallic hue & lustre and are widely used in resins. If you are looking to create special effects then pearlescent pigments may be just what you need. They look best when added into totally clear mediums such as resins. Many people ask us if they can add them into paint. In any normal paint the effect will be dull due to the opaque nature of paints and the fact that final dry paint films are very thin. As paints are applied only in a thin film, only true metallic pigments such as aluminium pigments give sufficient hiding power and lustre to give a good effect. We sell two grades of Aluminium Pigments (see Metallic Pigments). Glitter powders are usually of larger particle size. They are cut out of a large sheet and all particles are almost the same size. Modern glitter is usually manufactured from plastic and is rarely recycled leading to calls from scientists for plastic glitter to be banned. Metallic Pigments are fine particles of actual metal. We sell two grades of Aluminium Metallic Powder and both give excellent hiding power and an excellent shiny metallic effect. We use these in all our Metallic Paints to impart high hiding power (opacity). Pearlescent Pigments are made by coating small plate shaped particles of mica, synthetic mica or glass with various compounds. When the coating includes metal oxides some people call them 'metallic pigments' which can make things a bit confusing as they are not actually metallic pigments. All our pigments in this section are based on coated mica. A superior (but more expensive) type of pearlescent pigment is based on coated glass. We offer a large particle size Gold and Silver pearlescent glass pigments which you will find in a product called "Cosmetic Diamond Pearlescent Pigments". Although our Diamond Pigments are certified for cosmetics they are also wonderful to create sparkle in resin and general arts & crafts. Most of our “Pearlescent Pigments” have quite a strong colour and are not very transparent. They generate beautiful metallic colour effects. Our Pearlescent Pigments with “Interference” in their name have a subtle colour and have a high level of transparency. They tend to “play with light”. They don’t contain any coloured material in their composition but manipulate light to give the perception of colour. A pile of powder of these pigments looks white but their awesome effect becomes evident when they are smeared out into a thin layer or placed in a resin (or any other clear medium with some depth). If added to resin, the interference pigments create a subtle colour-shimmer right through the depth of the resin. Smearing these pigments out over a glossy black surface readily demonstrates the awesome effect they can create. Currently we only have one pigment that we call "Interference" and that is Interference Blue. Interference Green and Red will soon also be available. To keep things simple we used terms like fine, medium and coarse to describe the particle size of the various powders that we sell. All pearlescent pigments contain a range of particle sizes. All the particle sizes create a pearl-metallic appearance but smaller particle sizes create more solid colour while large particle sizes create more sparkle. These are not cosmetically certified powders. As such they should not be used in cosmetic products. Please see our products called "Cosmetic Pearlescent Pigments" and "Cosmetic Diamond Pearlescent Pigments" if you want to use them in skin contact applications. Care should be taken not to breathe the dust of any pigment powders (careful handling will reduce dust generation). Use a fabric dust mask that you can buy at any hardware store. If handling larger quantities (more than normal arts and crafts requirements) then a dust extraction system is required. All our products should be kept out of reach of children under 5 years and anybody who may tend to place items or liquids in their mouths should be supervised. Even packing can become a choking hazard. Bastion Paint manufactures Special Effect Paints in South Africa. We also manufacture other Special Effect Products and import a variety of Special Effect items. We distribute throughout South Africa and Worldwide with courier and freight partners. Copyright © 2017 Bastion Paint Online Shop. All rights reserved.